All of the delicious flavors of carrot cake in cupcake form! These beauties are the perfect dessert for Easter, Thanksgiving and every day in between! 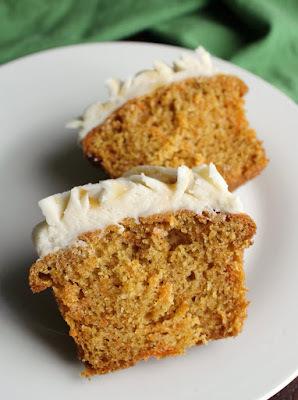 Lightly spiced cake made super moist by an abundance of shredded carrots, these cupcakes the the perfect balance of everything you'd want in a carrot cake. Whip up a batch for the Easter Bunny and he's sure to hide you some extra eggs! I told you we are building up to something fun! 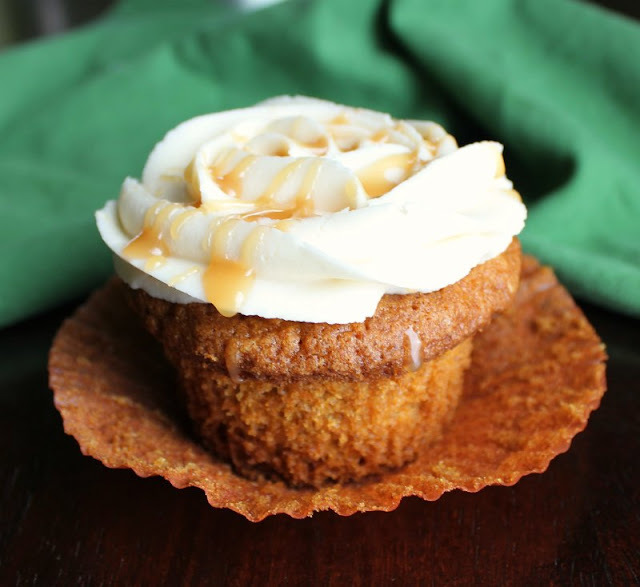 Yesterday I shared with you one of my new favorites, easy caramel buttercream frosting. It makes the perfect topping for these lovely cupcakes. It pipes well and has a nice caramel flavor. Plus it is super easy to make, no candy thermometer needed. Tomorrow we are going to take the cupcakes and frosting and put them together to make something super fun. The Easter Bunny and your family are going to love it! But today I will tell you a bit more about the cupcakes. What actually got me started on this whole thing is a request from Pops for carrot cake. He said it had been a while since I made one and he was right. Normally I make Linda's famous carrot cake. It is a definite favorite in our family and the last one I made got gobbled up in an instant! I topped it with some maple cream cheese frosting and the combo was amazing. As good as it was, I had to do something a bit different this time. I am a food blogger after all and what would I share with you if I made the same stuff all the time?! So this time I decided to do the carrot cake in cupcake form. I love cupcake because they are super easy to serve and easy to send home with folks as well. Not to mention they are easy and fun to decorate. You don't have to make sure you have sharp angles and smooth sides like a layer cake, but they have some panache that a 9x13" cake has a hard time living up to. A quick flick of the wrist with a star tip and you have something nice. Start from the outside and work your way in for a nice swirly pile of frosting or start from the center and work your way out for a rosette. Both are simple to do and leave a bit impression. My family prefers a lightly spiced carrot cake, so I kept the spices on the low side for this recipe. If you like more of a spice kick, you could easily double the ginger, cloves and nutmeg if you'd like. Or play with it a bit and do something in between. Make sure you come back tomorrow to see the fun way I decided to serve these cupcakes. 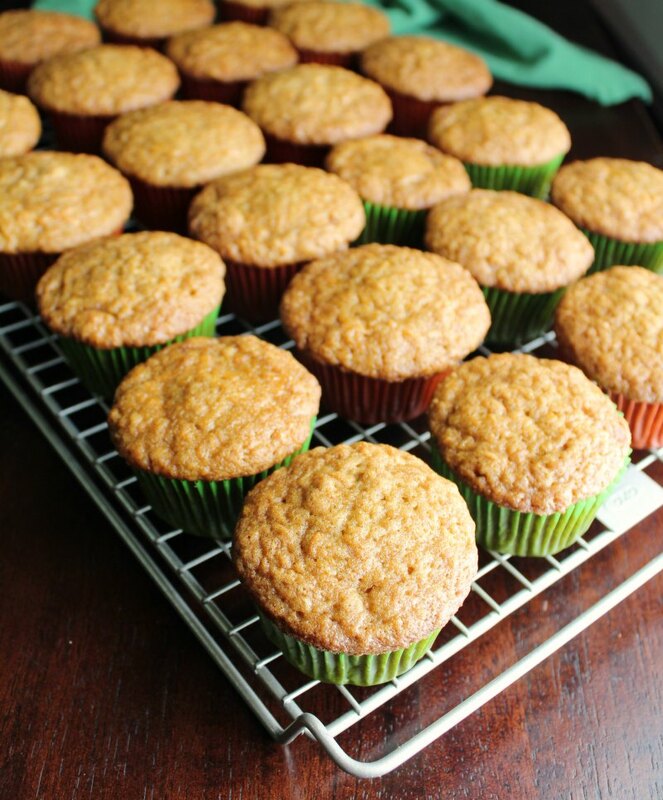 And get your grocery list handy, you are going to want to make a batch of these soon! You want your carrots to be finely shredded. You can do that by hand, or use the fine disk on your food processor. This recipe is lightly spiced, if you like more kick feel free to do 1.5-2x the ginger, nutmeg and cloves. Or you can just increase your favorites. I like using a large cookie scoop to portion out the batter. It makes getting it from the bowl to the cupcake papers easy. If you prefer your carrot cake in layers, you may like Maida's Carrot Cake. Preheat oven to 350 F and place 24 cupcake liners in cupcake tins. In a large bowl, whisk together flour baking soda, baking powder, salt, cinnamon, nutmeg, ginger and cloves until it is combined and there are no clumps. Set aside. In a second bowl, beat together the brown sugar, sugar and eggs until the mixture is thick and well mixed. Stir in the vanilla and vegetable oil, mixing well. Add the dry ingredients, stirring as little as possible to get it incorporated. Fold in the shredded carrots until the mixture is uniform. 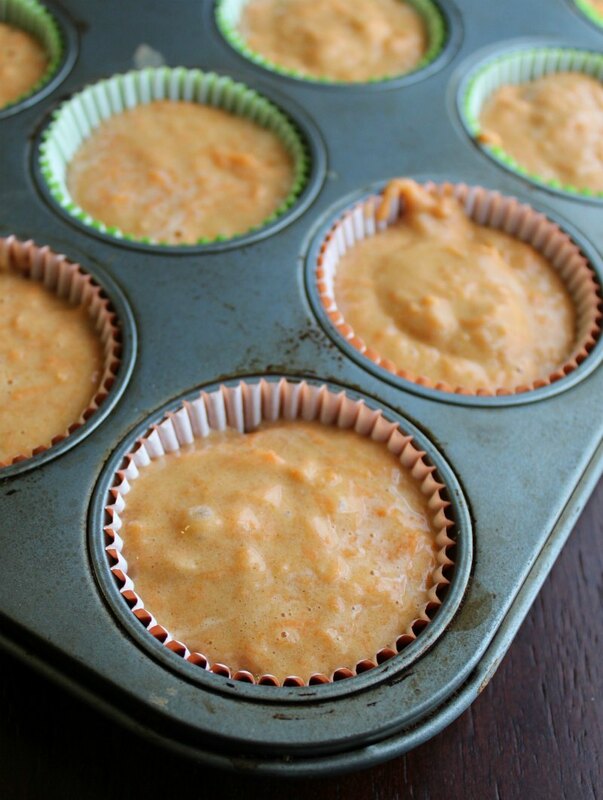 Spoon into prepared cupcake tins, getting an even amount of batter in all 24 wells. Bake for 18-22 minutes. Cool for 5-10 minutes in the cupcake tins and then remove to a wire rack to cool completely. I was lucky enough to see the finished product! I'm excited for the big reveal tomorrow. People are going to love it! I think so too! I thought it turned out pretty cute! This looks so yummy! I love carrot cake! 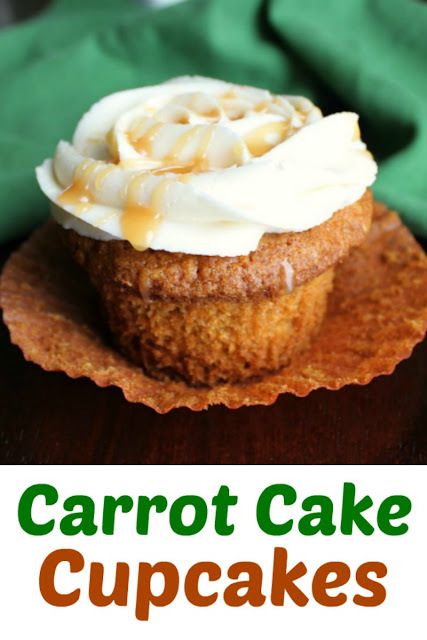 This is such an amazing carrot cake! 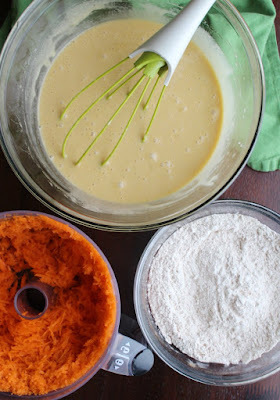 Confession: I've never made carrot cake! I love it, but have just never taken the time to make it. I need to make this.